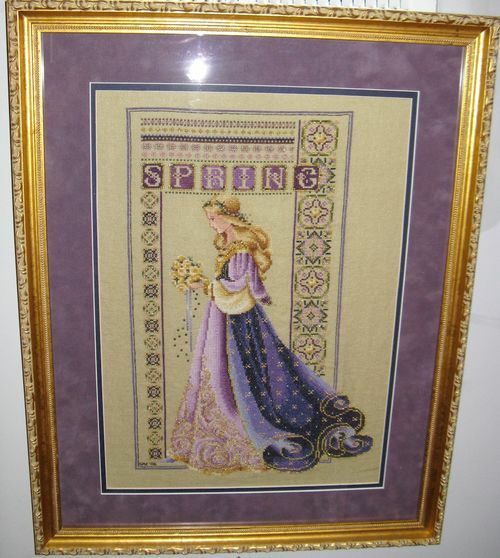 The design is by Lavender & Lace, stitched on 28 ct willow green linen. This was my first non-kit chart, my first project started (though not first finished) on linen. The beading took forever and I am very proud of this one. I also matted and framed it myself. The outer mat is a lovely suede (thanks, Mom! ).